On August 6, 2011, Fe Del Mundo, the country's distinguished Pediatrician and National Scientist who conducted important pioneering researches on infectious diseases and dedicated much of her life to the cause of pediatrics in the country, died of cardiac arrest. 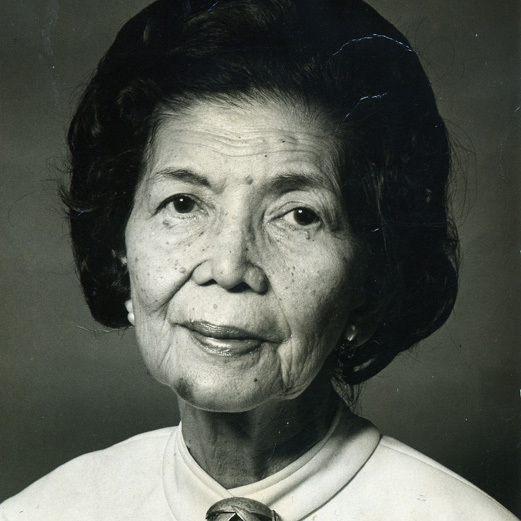 She died 3 months before her 100th birthday on November 27, having been born in Intramuros, Manila on 1911. She was the sixth of eight children of Bernardo del Mundo, a prominent lawyer from Marinduque and Paz Villanueva. At age 15 Dr. del Mundo entered the University of the Philippines and received an Associate in Arts after the completion of two years. She then entered medical school at the same institution. Five years later in 1933, she received her medical degree with highest honors in her class of 70 graduates. That year she was awarded a medal as the "Most Outstanding Scholar in Medicine" by the Colegio Medico-Farmaceutico de Filipinas. In 1936, she was granted a scholarship by then President Manuel Quezon and obtained post-graduate training in pediatrics at Harvard Medical School for five years. In 1940, she received her M.A. in Bacteriology from Boston University in Massachussets. Her most significant researches dealt mainly with viral diseases, particularly those on polio-myelitis, rubeola, rubella, and varicella. These clinical researches served as reference in the use of vaccine and immunizations in the country. The absence of well equipped laboratories for analysis did not restrain her from determining the nature of the sickness. Dr. del Mundo would send specimens or blood samples for polio to New York, measles to London, rubella to Switzerland, and chicken pox to Japan. In 1954, she helped characterize dengue fever at the clinical and laboratory levels, which contributed to a better understanding of the disease. Dr. del Mundo also invented two devices to help people in the rural communities. In 1973, she invented a simple inexpensive incubator made of bamboo that can be easily made for rural communities. She also developed an improvised bamboo radiant warmer and a photo therapy device that could cure babies with jaundice. These inventions reflected her interest in rural health, particularly those in underserved or unreached rural areas. In 1957, Dr. del Mundo, established the Children's Memorial Hospital (later renamed Dr. Fe del Mundo Medical Center). To do this, Dr. del Mundo sold her own home and personal effects. The hospital was expanded in 1966 with the establishment of an Institute of Maternal and Child Health, the first of its kind in Asia. The said hospital continues to admit thousands of children requiring quality medical help.